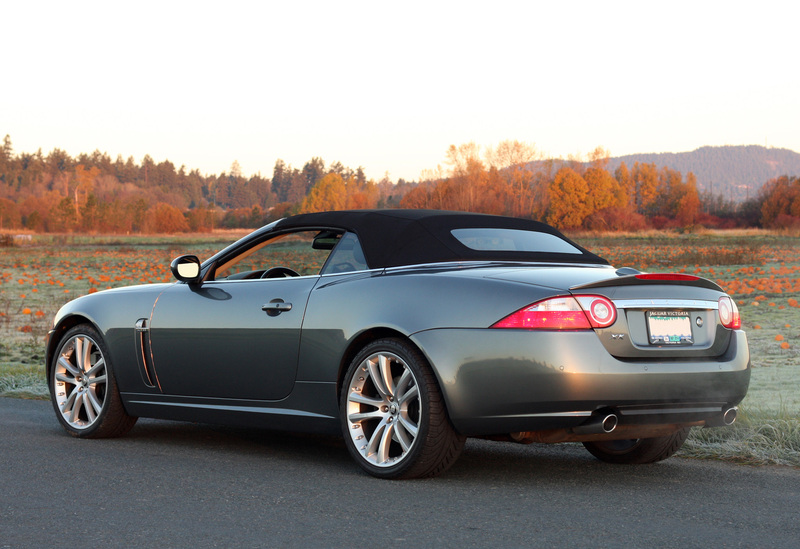 To celebrate this spooky occasion, we have an image of Wayne & Lou Watkin’s 2007 Jaguar XK in the pumpkin patch. Winterizing for the Year End. What a great day for these beauties to enjoy their last day out to play. 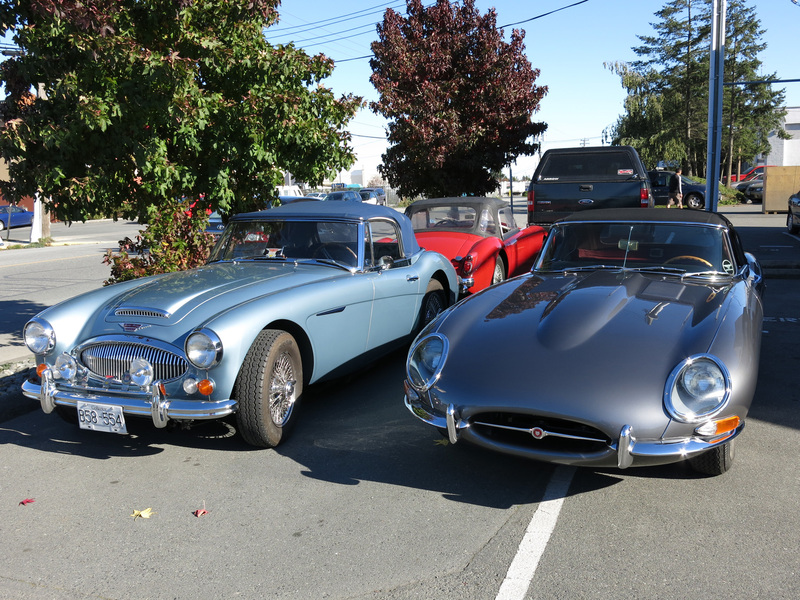 Nearing the end of our driving season on the coast, now is the time to winterize the car for storage. 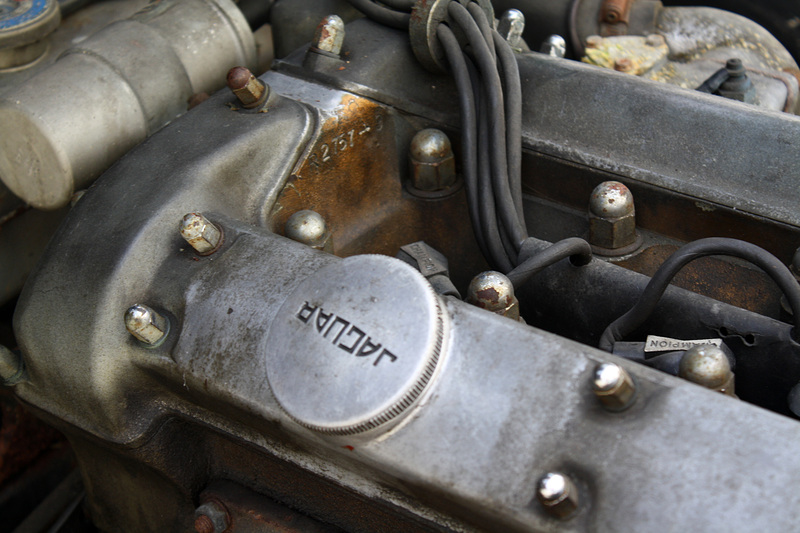 We recommend checking coolant for antifreeze, keeping tire pressures up, putting fuel stabilizer in the system (before the last drive) and positioning the soft top up to prevent shrinkage. **Sold for a record $467,500 USD! 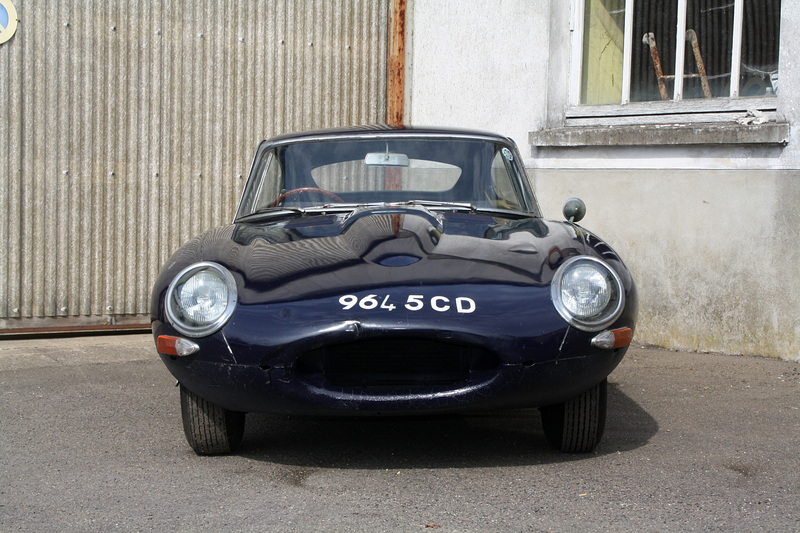 As a counter punch to our last feature, here is the 1966 Jaguar E-Type Series I 4.2-Litre Roadster chassis 1E11911, a three-time 100-point JCNA National Champion that RM Auctions will offer at their Art of the Automobile sale on 21 November 2013. 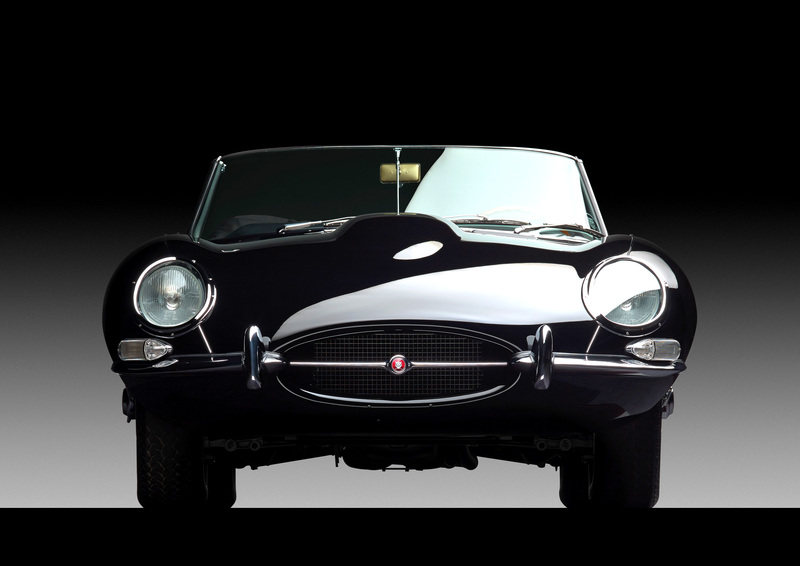 The spectacular images are from studio photographer Michael Furmann who is doing similar photos for every car in the auction catalog. 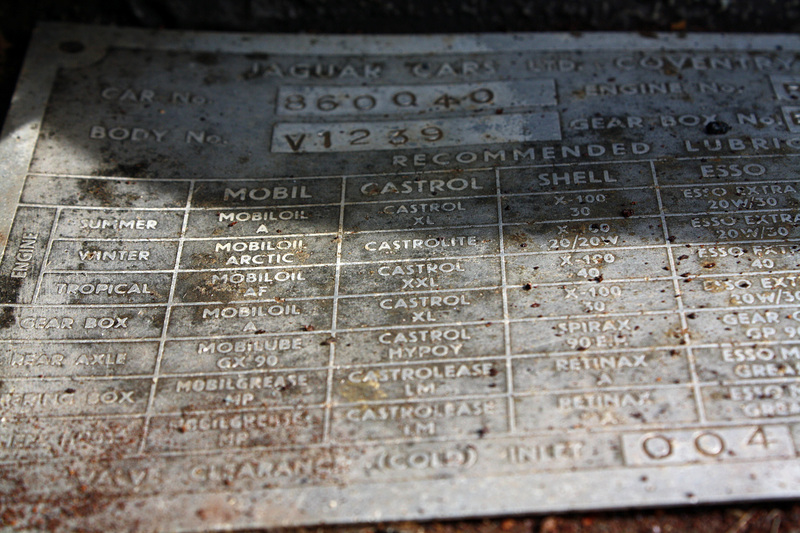 This E-Type, chassis IE11911, was brought to the Jaguar specialists at Classic Showcase. 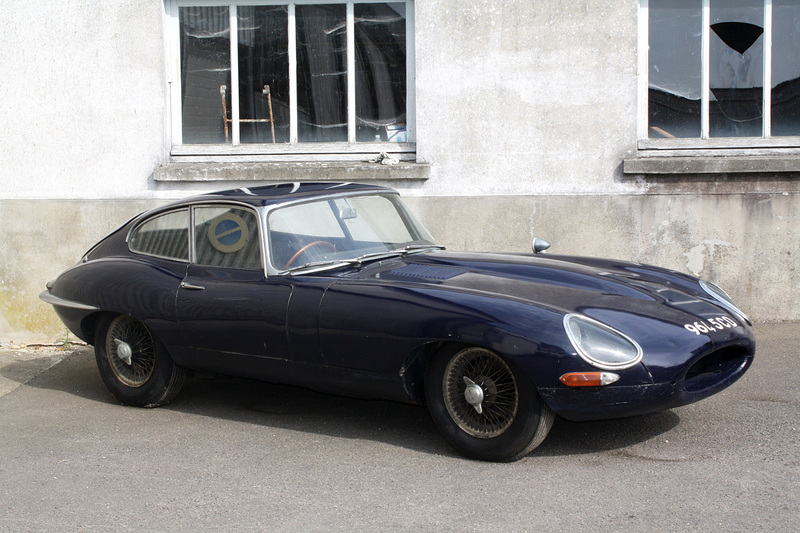 When it arrived, it was still wearing its original interior and paint, and it was an excellent “survivor,” with 71,000 actual miles. 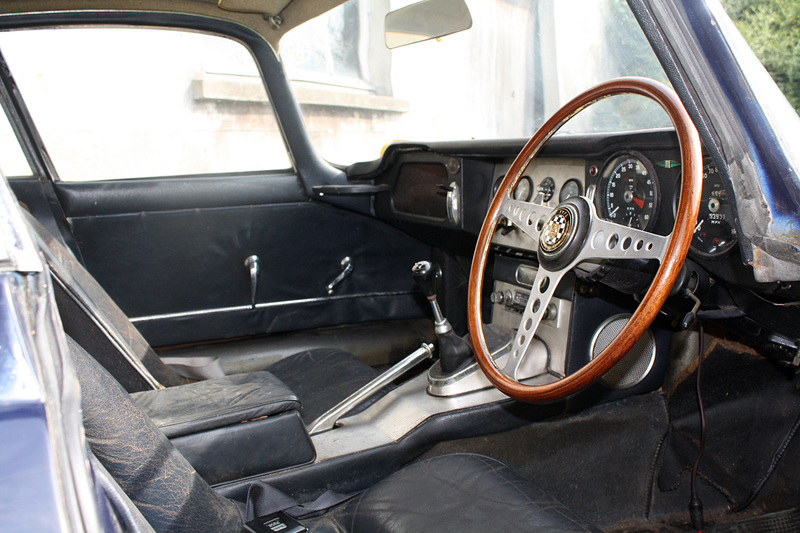 The originality of the car provided a perfect candidate for a comprehensive rotisserie restoration to modern show standards. 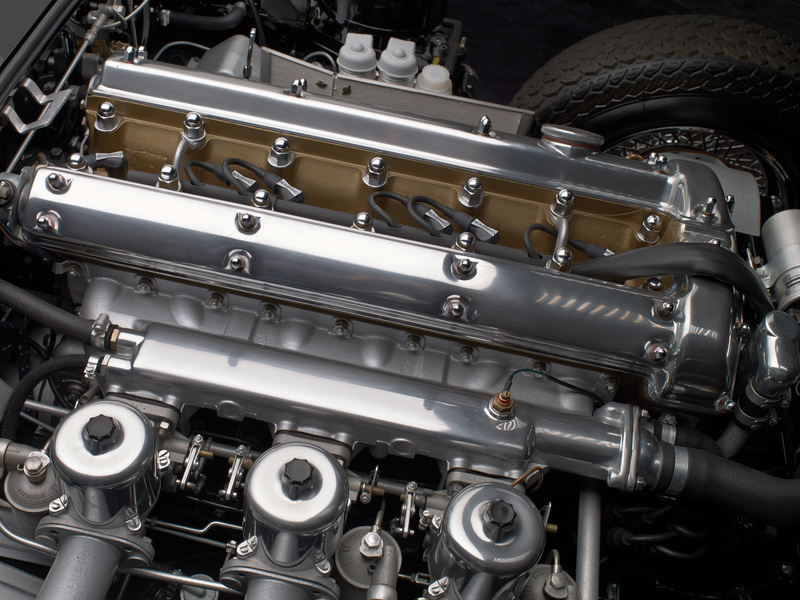 Photo by Michael Furman ©2013 Courtesy of RM Auctions. 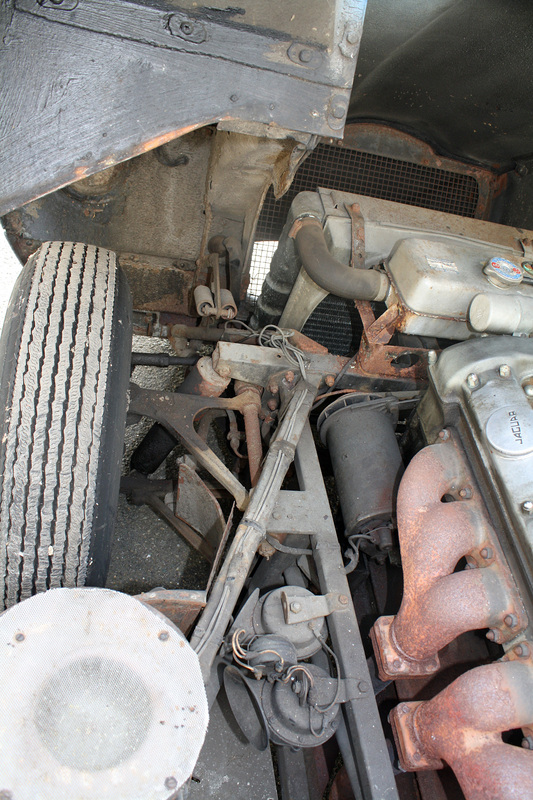 The body (number 4E3351) was stripped to the bare metal, mounted on a rotisserie, and properly metal-finished with lead to ensure smooth, straight panels. 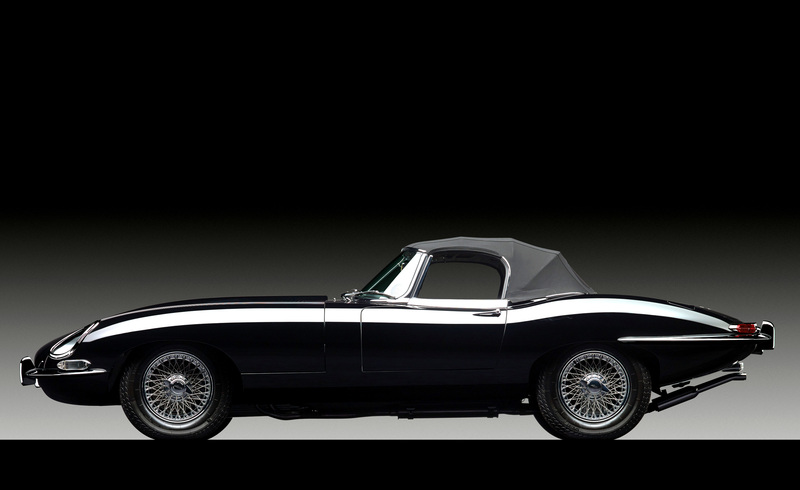 All body parts and chrome were then test-fitted to the body, to ensure a proper fit, before the body was correctly painted and refinished in an elegant Black, with an amazingly deep shine and finish. 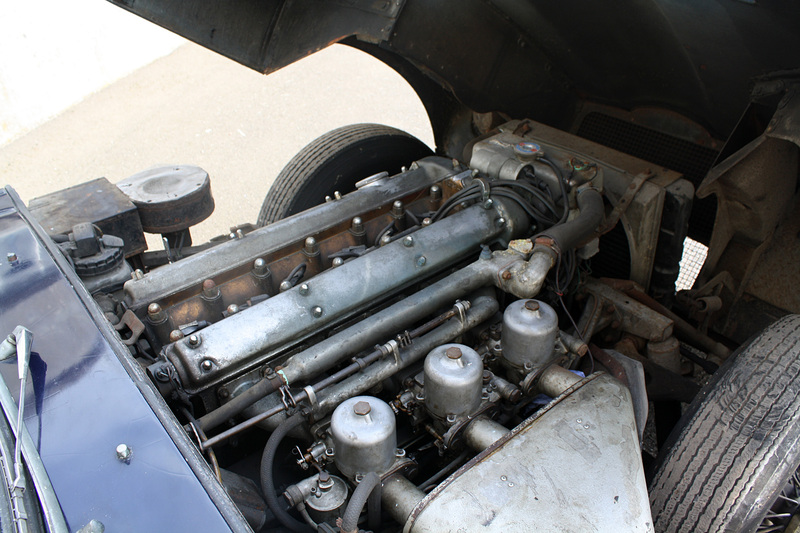 The brightwork was all triple-plated to the highest of concours standards, for an amazing shine. 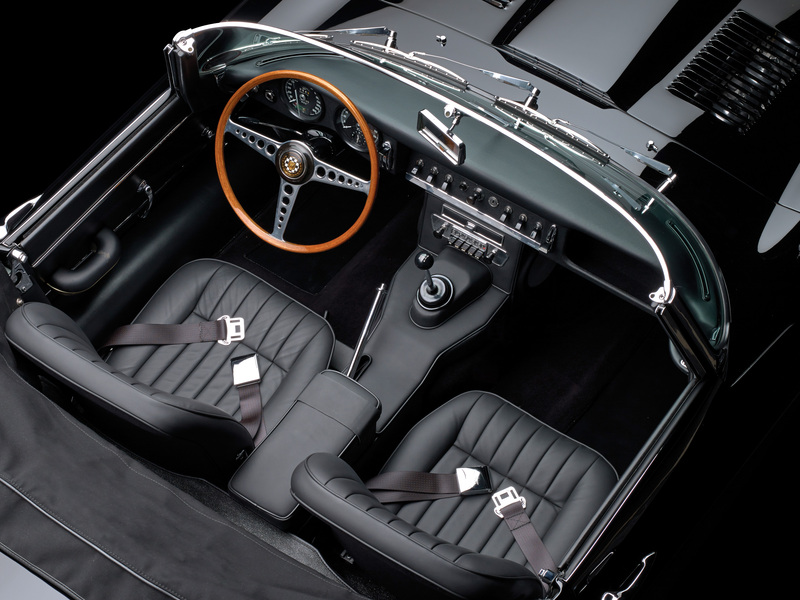 Photo by Michael Furman ©2013 Courtesy of RM Auctions. 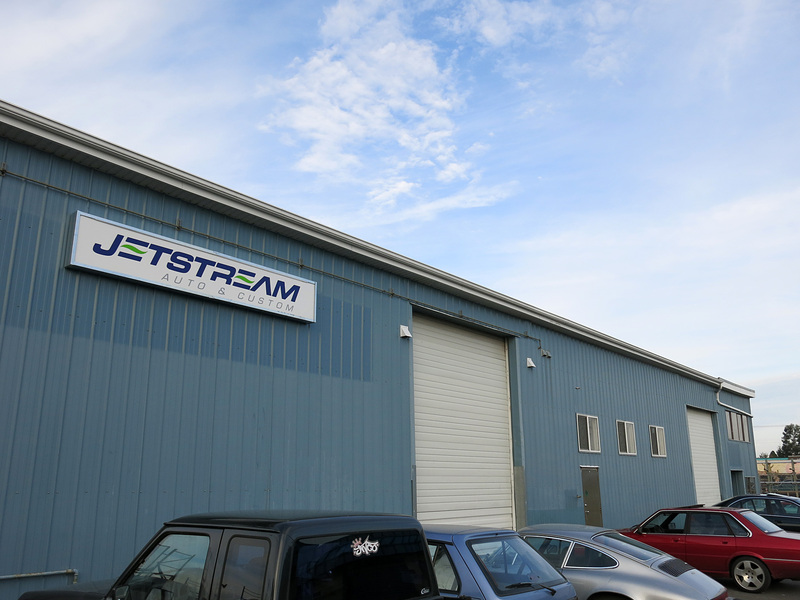 Today we finally had a look at the new facilities set up by Jason Stoch of Jetstream Custom Auto. 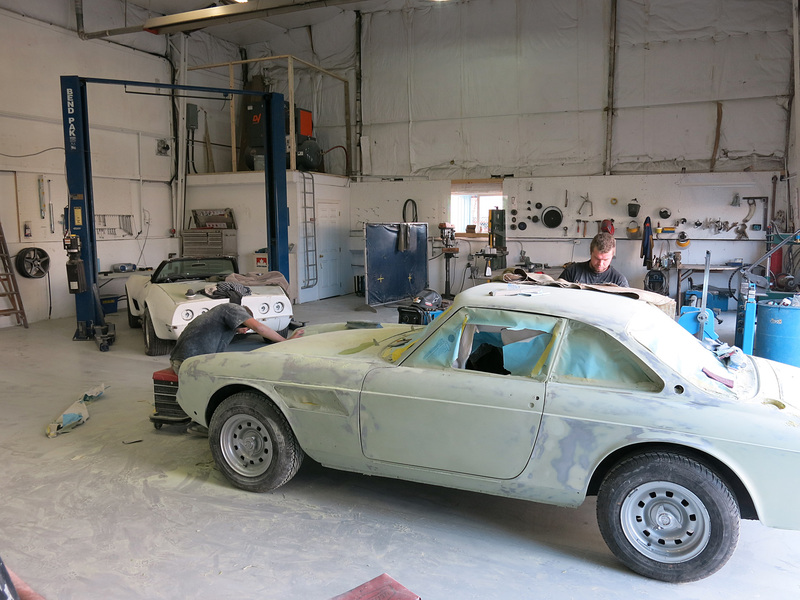 The size of the new building probably makes it the largest restoration facility in BC, with separate space for painting, clean builds and trimming. As usual, the influx and variety of jobs shows the capability the of Jason and his head painter Sean W of Punisher Paint to tackle any job. The Building is massive from the outside. 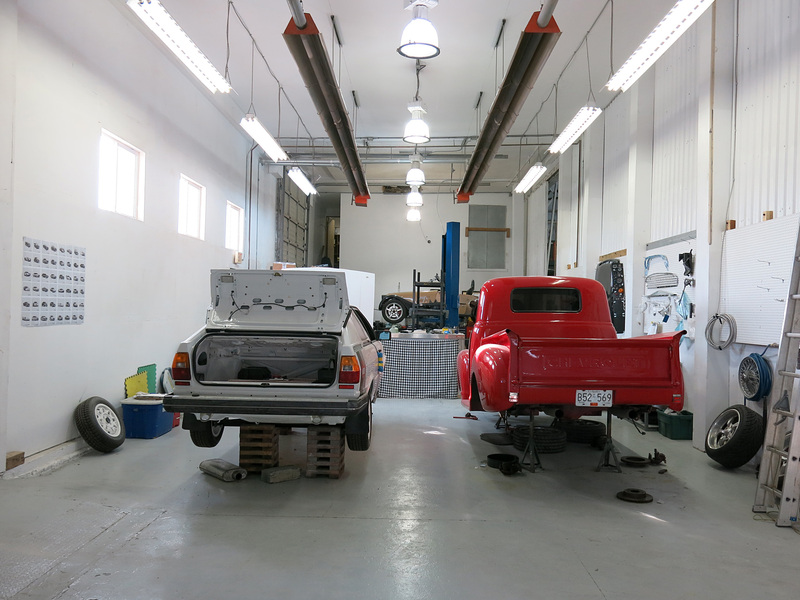 Located at the rear of Peninsula Mini Storage 2072 Henry Avenue. 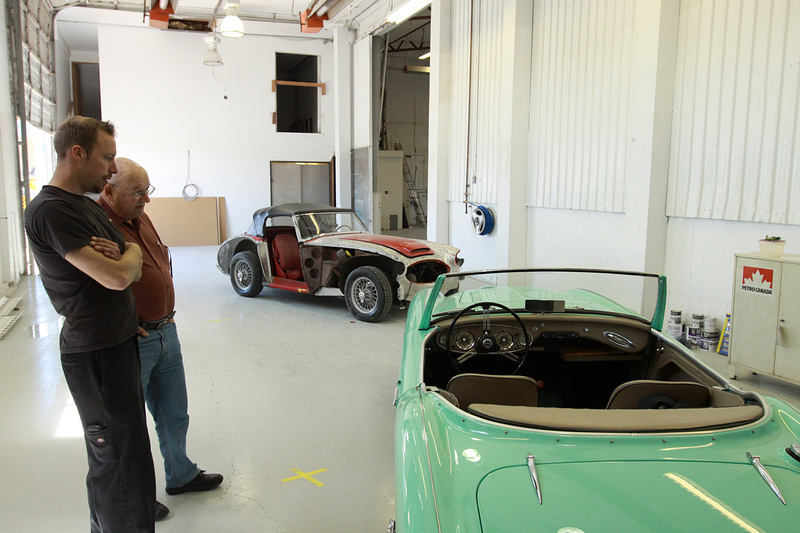 Owner/Operator Jason Stoch and Austin Healey afficianto Earl Kagna overlook the Florida Green Healey while a stripped BJ8 in behind is just getting started. 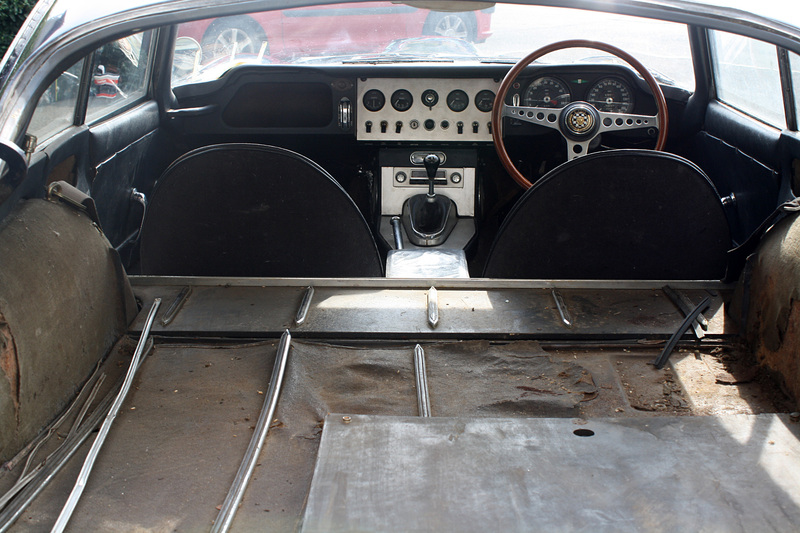 Up front is the clean area for Mechanic and final build work. No task is too big for Jetsream. 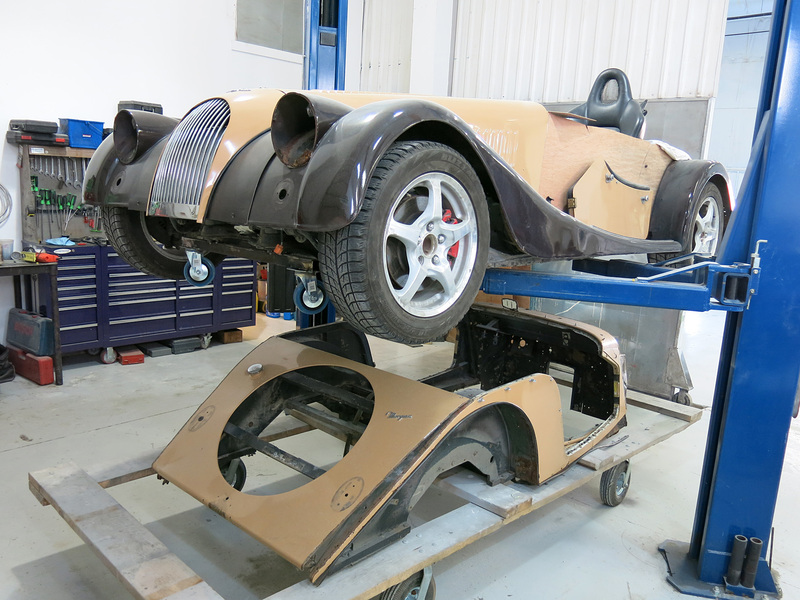 Here they are modifying an old Morgan body to fit on a Honda S2000 chassis. 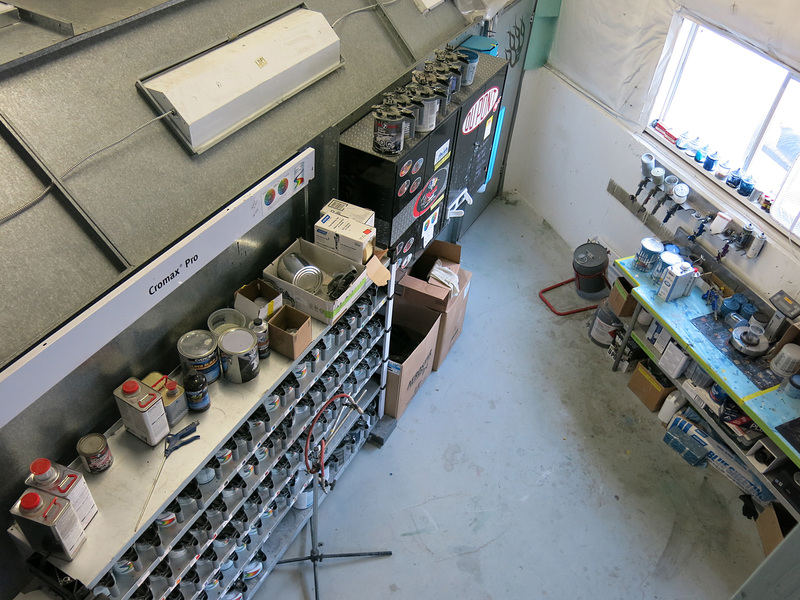 The paint prep area has its own lift and plenty of space. 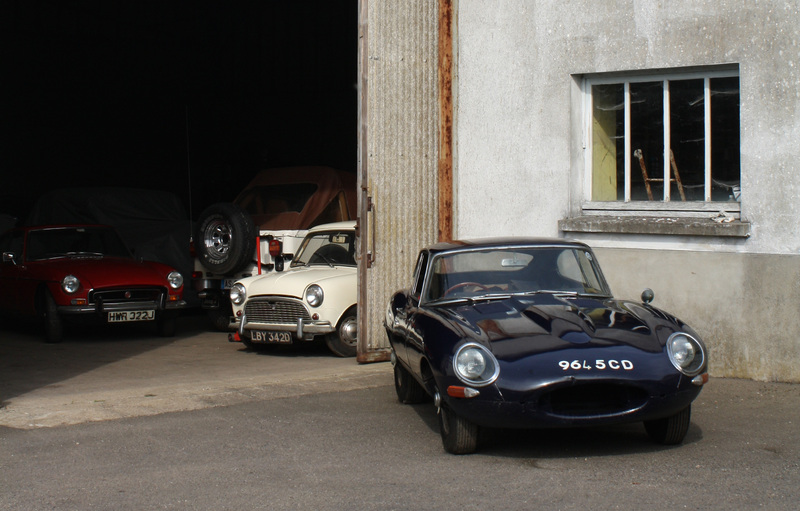 In the forefront is a fabulous Ferrari 330 GTC. 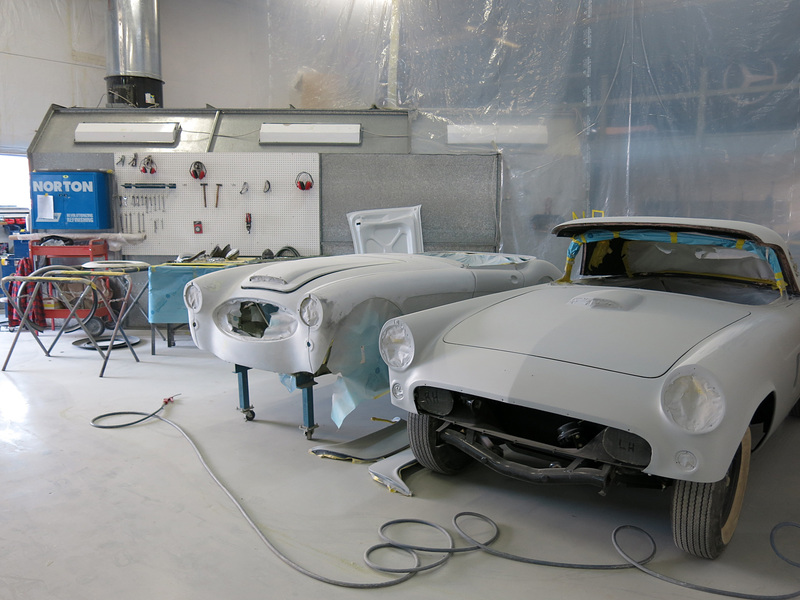 1956 Thunderbird and Austin-Healey 3000 await final top coats from Sean W of Punisher Paint. Plenty of space for Sean W to mix up Dupont’s finest. The metallic colors this system can produce is astounding.